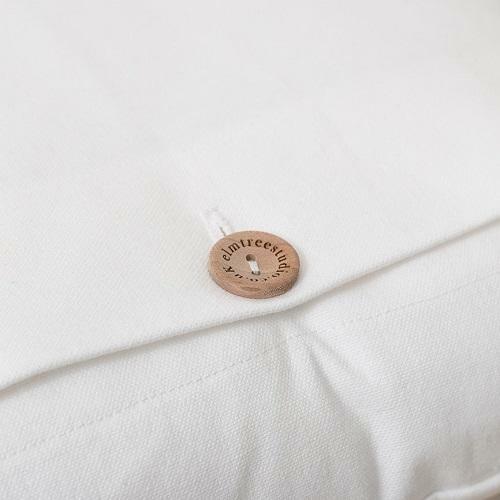 The sleeping cloud is embroidered on to a lovely soft premium white cotton, and has an envelope opening secured with our branded wooden button. 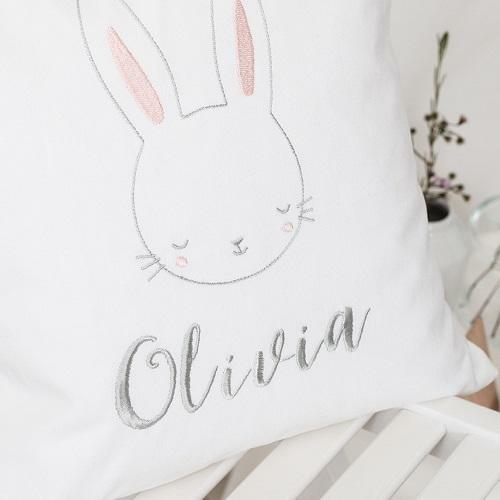 The bunny design is embroidered in a soft grey thread with blush pink accents. 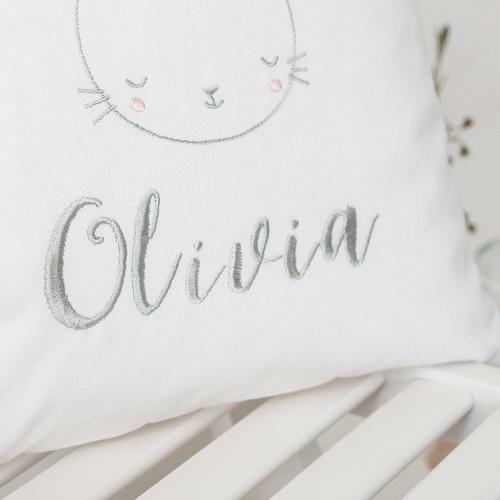 The name is embroidered in the same soft grey in a modern brush font style. 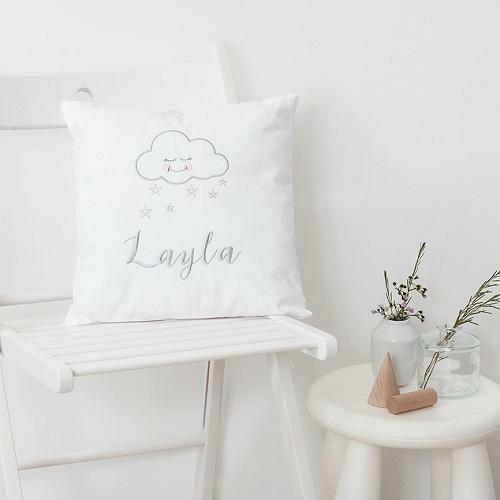 Your name of choice with be beautifly embroidered in a soft grey thread. 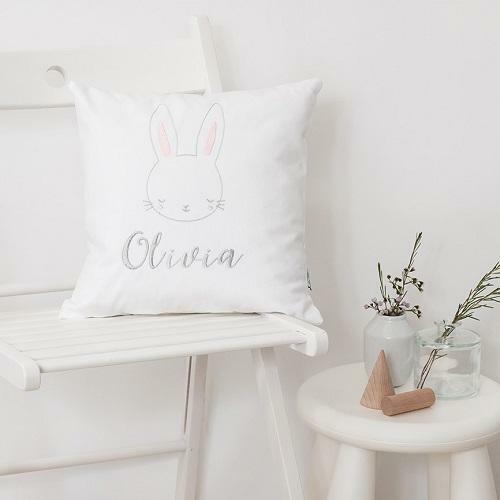 A luxury duck feather filled cushion pad is included. 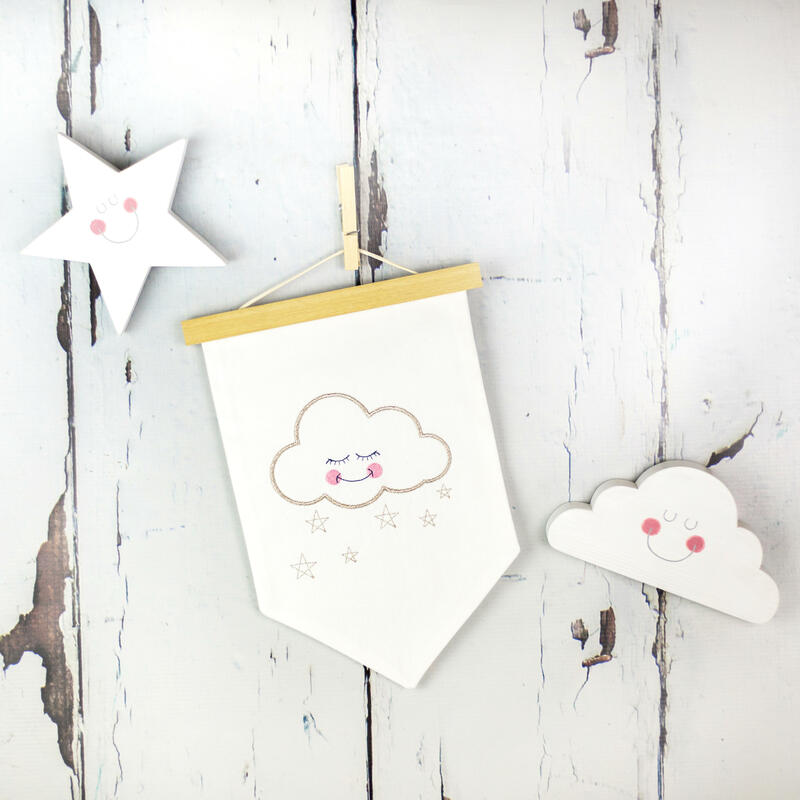 Hand wash is recommended as to not damage the embroidery.